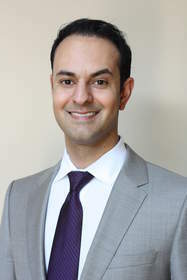 HERNDON, VA--(Marketwired - Nov 11, 2013) - Volkswagen of America today announced the appointment of Vinay R. Shahani, 39, to the post of Vice President, Marketing for the Volkswagen brand. Shahani will lead and direct all aspects of marketing for the Volkswagen brand in the United States. He will report directly to Jonathan Browning, President and CEO, Volkswagen Group of America, Inc. Founded in 1955, Volkswagen of America, Inc., an operating unit of Volkswagen Group of America, Inc. (VWoA) is headquartered in Herndon, Virginia. It is a subsidiary of Volkswagen AG, headquartered in Wolfsburg, Germany. VWoA's operations in the United States include research and development, parts and vehicle processing, parts distribution centers, sales, marketing and service offices, financial service centers, and its state-of-the-art manufacturing facility in Chattanooga, Tennessee. The Volkswagen Group is one of the world's largest producers of passenger cars and Europe's largest automaker. VWoA sells the Beetle, Beetle Convertible, Eos, Golf, Golf R, GTI, Jetta, Jetta SportWagen, Passat, CC, Tiguan, and Touareg vehicles through approximately 625 independent U.S. dealers.